When you think about personalisation, people usually associate it with garments, but it doesn’t have to be restricted to them. We recently did a project with a tablescape designer extrordinare Fiona Leahy for the Aerin èclat de vert perfume launch dinner in De Crillon in Paris. Did you catch us at Bluewater this weekend? This weekend past, Hawthorne & Heaney made camp in the Bluewater shopping center for Victoria’s Secret. We were personalising customers items from the sleepwear range which included robes, pyjamas, tshirts and shorts amonst their range. We were there for three days, with three machines so it is fair to say that we reached quite a few people and their personalised pieces. If you missed us, don’t worry, we are popping up all over the place in the run up to Christmas, personalising all sorts so keep your eye peeled for where you can catch us next! 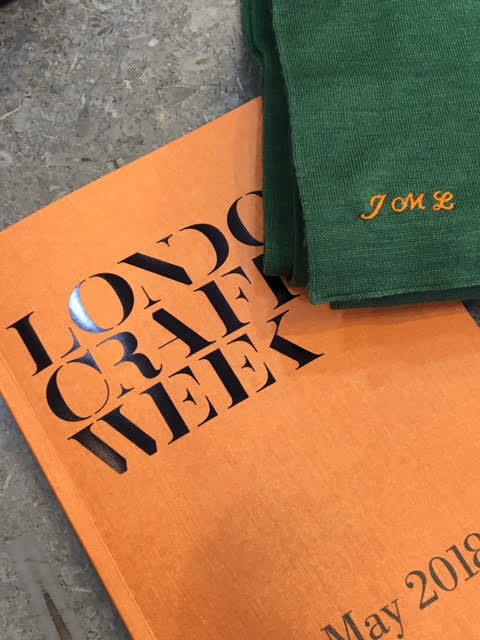 Here at Hawthorne & Heaney, we were very busy during London Craft Week. 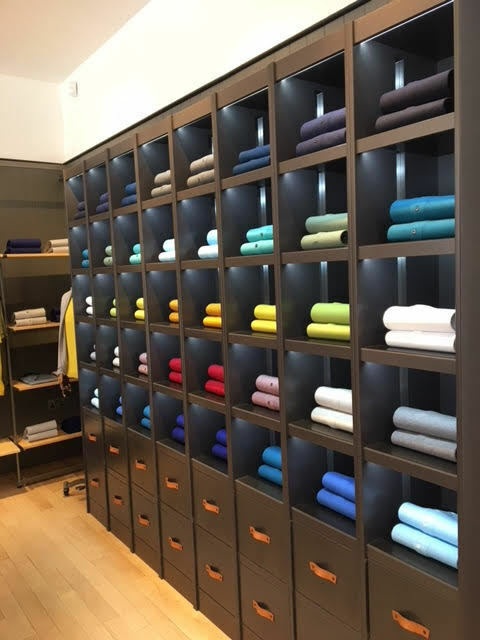 While having an explore around some exhibitions we also teamed up with John Smedley to personalise some of their lovely knitwear. Founded in 1784 they are one of the longest-running knitwear manufacturers in the world. Specialising in beautifully designed garments that are made to last. Crafted in Britain and distributed all over the world. In 1825 they moved on to producing garments using one of the first ever fully fashioned knitting machines, creating the original “Long Johns”. Moving into the 1950s and 1960 the brand became very popular with many famous faces, from Audrey Hepburn to the Beatles. By the 1980s many British fashion houses saught the work of John Smedley, such as Paul Smith and Vivienne Westwood. In 2013 they were granted the Royal Warrant of Appointment. 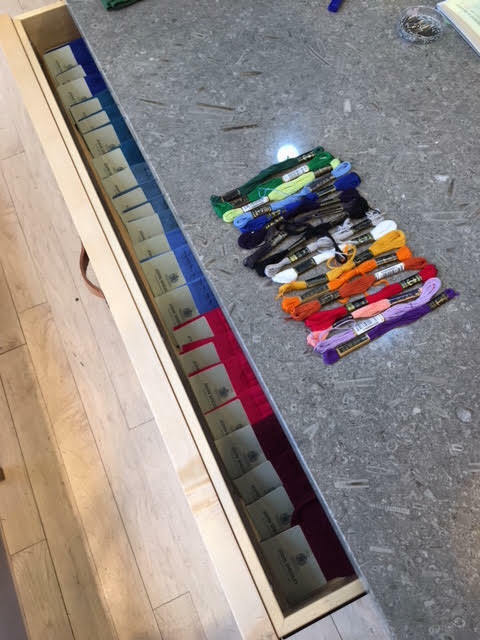 Two of our wonderfully talented hand embroiderers spent the day in their Mayfair store, offering a little something extra to their knitwear. 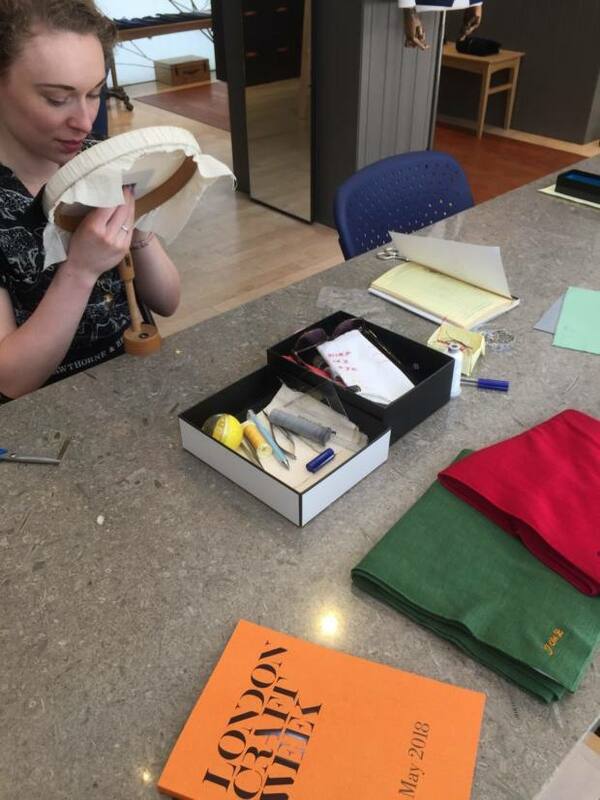 Last weekend, we had another monogramming event with lingerie brand Victoria Secret. 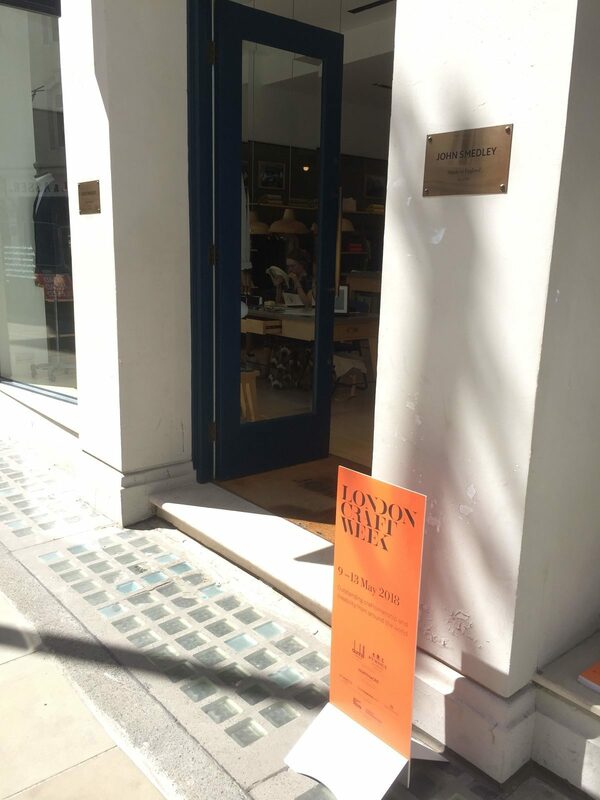 It was held at their brand new store on bond street. 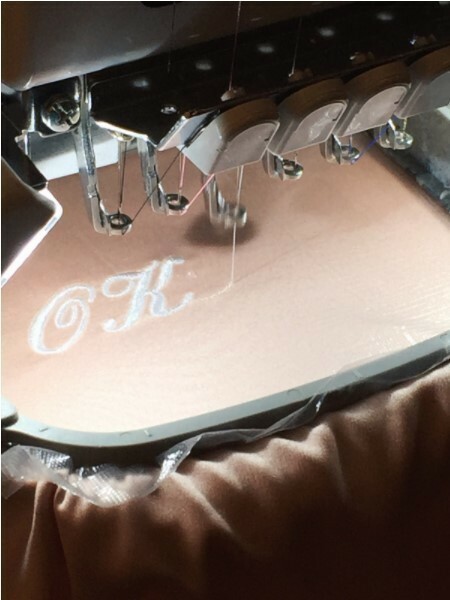 To celebrate their opening, customers were able to have their Victoria Secret robe personalised with their initials. They were able to choose from two fonts, and a range of colours. We were glad to be able to celebrate with them. Following on from the sucess of the NFL event we did in October last year, we went back to the O2 area in January for an NBA event. Once again we were monogramming caps for the invited few in the skypod box overlooking the arena. 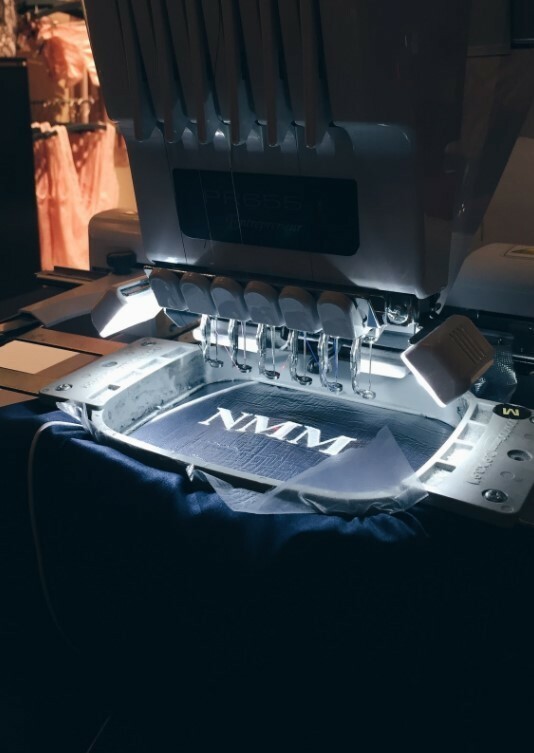 This time we were at the NBA game at the O2 arena embroidering initials on to New Era caps for the pregame Marriott reward VIP’s. The VIP’s could choose from either a Boston Celtics or a Philadelphia 76ers cap and have it personalised while they waited! 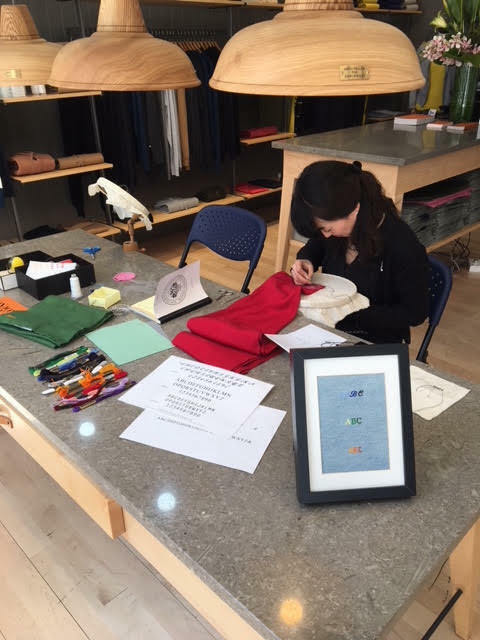 HAWTHORNE & HEANEY can offer on site personalisation services with embroidery and embellishment. This can include a wide range of customisation services and is a great way to engage your clients and influencers in a personal and memorable way. Our customer service staff are trained to provide a professional service that will enhance your brand and encourage renewed interest and brand loyalty with your existing customers. It is also a wonderful opportunity for engaging social media content for yourselves and your key influencers. We have a huge range of personalisation services to offer and can offer a consultation service to help you decide which best will fit your brand story and event. The first Monday in May each year is always a prestigious day in the fashion calender as it marks the opening of the Metropolitan Museum’s new exhibition and therefore the Met Gala. This year, the exhibition is dedicated to Comme des Garcon’s Rei Kawakubo and is entitled ‘The Art of In-Between’. Taking its theme for the Gala from this year’s muse, the attendees dressed to impress in their own interpretations of Avant-Garde. 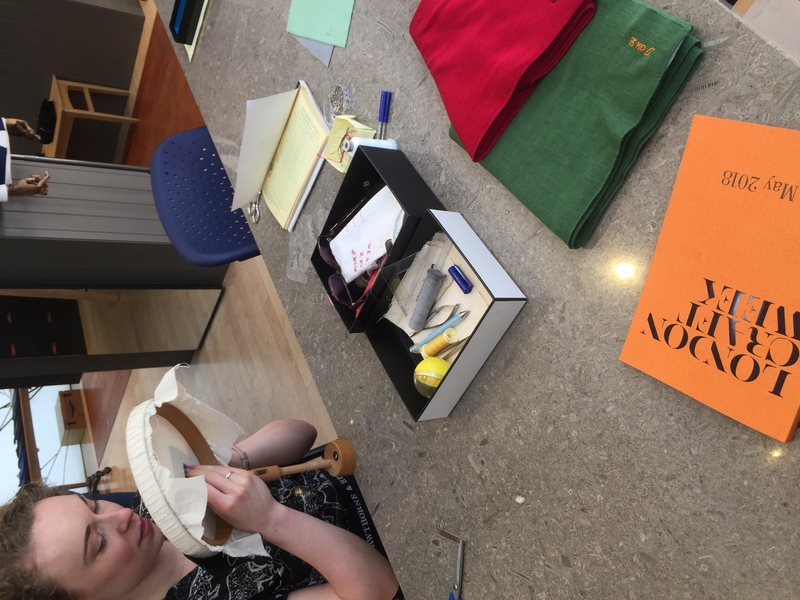 You may remember a series of silk jackets we did for the Accessories Brand Chaos last year, this year’s Met Gala gave us the opportunity to work with Chaos again as we were embellishing the outfit of Chaos’s Charlotte Stockdale. They wanted to create a black on black piece so we made the embellishments all about the texture and relief, working with different weights and qualities of thread to provide definition. Some sections were super dense and flat to the fabric whilst others were given height of various levels within the machine embroidery. Some sections were cut open to provide another texture with fluffy edges which creates a very matte deep black effect against some of the shinier threads. The whole back piece centers around the Chaos logo which was treated as if it were a traditional heraldic piece. This became the base on which we could build by hand. A variety of beads were applied into the machine embroidery such as bugle beads and cut jet. As with most of our bespoke pieces, Charlotte’s initials were integrated into the design in the same heraldic style as the mantelling around the logo. I think you will agree that the final effect is pretty phenomenal when the machine embroidery, hand embroidery, beading and tassels all come together. For more details about Chaos and the products they offer, check out their website here.